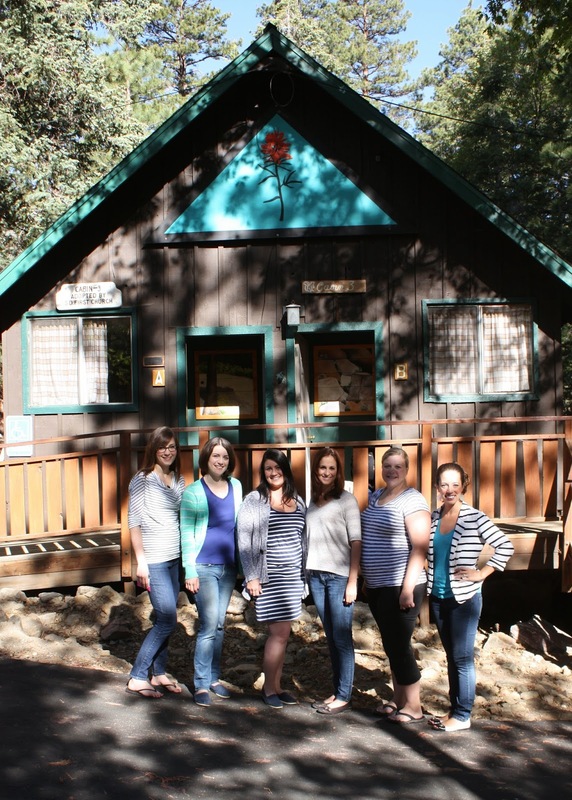 Camp Blogaway 2014 is wrapping up today and I'm pretty bummed that I'm not there this year. I was so excited to go last year, although I never did any follow up posts to tell you all about it! Please excuse the delay, as 2013 was a bit overwhelming with working full-time, planning our own wedding, and moving from Hawaii to Seattle... At long last, here's the scoop on what goes on at a three-day-long food blogger camp. On Friday I spent the afternoon driving up winding mountain roads to the San Bernardino National Forest. The scenery was gorgeous! After hours on the road arriving at camp was a relief. Seeing the Bloody Mary setup upon arrival was a thrill! We mingled and got situated at tables within the lodge, our base camp for the weekend nestled between cabins, trees, and wilderness. Each camper was greeted with a bag overflowing with swag and a very curious empty glass with a celery straw inside! Yes - a celery straw - it's completely formed into a circle and is the most brilliant vegetable I've ever encountered. I haven't seen another celery straw since, although they should be appearing in grocery stores eventually. Our first activity was to create something fabulous from the Bloody Mary offerings. Each table voted upon the best one to enter a competition and our table selected mine! It didn't end up winning but it was tasty (wink). Prior to arriving at camp, I'd never actually known anyone else who writes a flood blog. I knew right away that I'd found my people - those who consider it perfectly acceptable to arrange and photograph food and beverage before enjoying it! The weekend was full of learning about many aspects of food and blogging: photography, cook books, and SEO, just to name a few. OXO was one of the sponsors and we were all given the chance to learn about the mandolins they make, while also earning our keep by slicing the potatoes for the next day's breakfast! The woman from OXO gave a demonstration on precisely how to use the gadget, including several warnings to always, always, always use the food guard to prevent yourself from injuring yourself on the ever-so-sharp blade. We all took a turn with the contraption and it was truly as easy as it sounded! The next day's breakfast potatoes tasted even better, knowing we'd helped to make them. Many successful bloggers shared their wisdom and experiences with us throughout the weekend. I was most excited to hear from Stephanie O'Dea, better known as the woman who used her crock-pot everyday for a year! She didn't disappoint and her organization using a poster board and post-its to track your goals and progress was brilliant. I'd tried it for a while last year, before we moved, and loved to physically mark and remove items as I dreamt them up and completed them. It's about time I try again, don't you think? Each day we sat at different tables with different folks throughout the room, keeping things most interesting. The coffee supply was never ending, meals came often, and we all took in as much as knowledge and inspiration as possible. There were tables around the lodge for sharing our own goodies with others, too. I'd had the first year of Aloha Yinz Mangia made into a book and it became my show-and-tell item! It was only fitting to use my first ever post and photo, lasagna circa 2010, for the cover. Writing about food generally requires a curiosity for trying new things so a combination like purple potato, bacon, and Gorgonzola (in a scone) goes over quite well in a room full of food fanatics! It goes without saying that the recipes were provided to us all to take home. The weekend was a great mixture of learning, sharing, eating, drinking, mingling, and mother nature! Unfortunately I didn't drag my self out of my bunk-bed in time to take a hike or participate in the Zumba classes, but I still found time to take in the views, sunshine, and giant pines. Camp was a great experience overall! The best part, of course, was making connections to other humans with the same interests. What a crew - you can see the list of all attendees here. We all have a passion for eating and writing, that's for sure. The attendees, as you can see, were mostly women! I felt slightly alone in the has-a-full-time-career-and-blogs-just-for-fun category, at times. Having worked in marketing, hospitality, F&B, and events, surely helps me, that's for sure. First job, at age 15, working at McDonalds. Burger flipping, condiment gun shooting, fry salting! First real job doing marketing and PR for Kraft Foods and TS Restaurants for 3+ years. Coupon creating, recipe sharing, pasteurized processed cheese product and all! Oh yes - blogging on the side! The best connections I made at camp were my roommates from cabin #3, seen behind us. On Sunday we wear stripes, apparently. (From left to right) Stephanie and Stephanie [Girl Versus Dough and 52 kitchen adventures, respectively] were our cabin mates. Barbara [Barbara Cooks], Jillian [Decadently Fit], Jillian [Food, Folks, and Fun], and I were roomies! We've since virtually teamed up for a July 4th BBQ and Easter Carrot Cake Throwdown and hope to keep the tradition going. Barbara and I have since gone on some food adventures together in real life! We met up in Hawaii last fall, while she and her husband were visiting for their honeymoon. Malasadas, duh! The ride down the mountain, and away from a great weekend at camp, was just as gorgeous as the ride there. It even called for a pit stop to take in and photograph the lovely view. This part of California reminded me more of good ole' PA than Cali! The takeaways from camp are hard to measure, although the loot isn't! Many of these items I use daily. Just today I used the green glove, the scrubby brush, and the mouse pad. That carrot reusable bag lives in my purse permanently! In general, I give myself the grade of A- for making the most of what I learned and the connections that I made at camp. However I must be honest and report that I FAIL in the safety lesson taught by OXO! See that mandolin there in the bottom left corner? It's nothing like it's more mature, stainless steel counterpart from which we learned. The food guard on the one pictured is a joke and does next to nothing to actually secure the food item while slicing. Needless to say I sliced my thumb open the very first time I used the mandolin! I still have the scar to prove it and have since upgraded to a better, safer model. 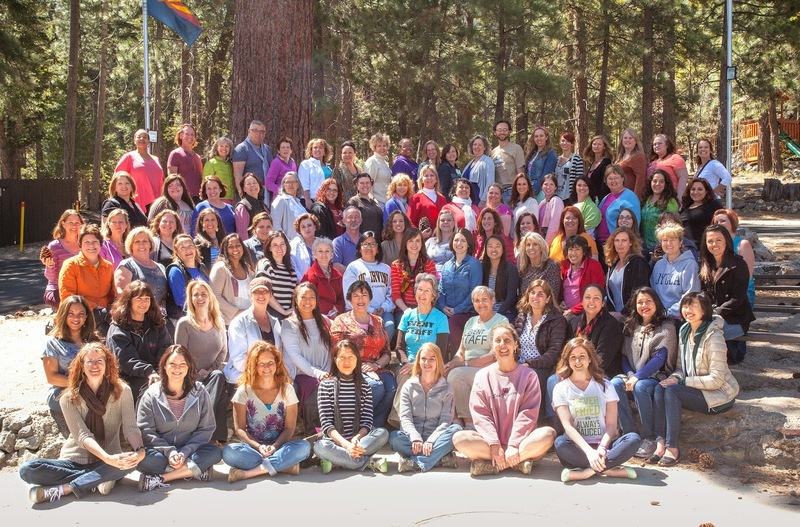 Camp Blogaway helped me to network and learn from others who do just what I do here. It has inspired me to keep cooking and blogging and has sparked an interest for visiting more conferences! While this weekend I'm missing both BlogHer Food in Miami and Camp Blogaway, I'll also miss the International Food Blogger Conference here in Seattle in September on account of my brother-in-law's wedding. Watch out 2015, I'm coming for your blogging conferences!